February 22, 2019 marked the fiftieth anniversary of the founding of the Democratic Front for the Liberation of Palestine (DFLP), a Palestinian terrorist group that seeks Israel’s destruction. The DFLP’s origins as a Marxist-Leninist terror group contrast sharply with other larger Palestinian factions, like the Islamist Hamas and Fatah. And despite its small size, historically the DFLP has played an outsized role in carrying out terror attacks and fomenting violence against the Jewish state. 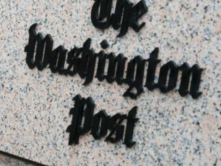 Nonetheless, the group has received scant attention from policymakers and the press. Nayef Hawatmeh created the Democratic Front for the Liberation of Palestine (DFLP) on Feb. 22, 1969, splitting off from the Popular Front for the Liberation of Palestine (PFLP). Hawatmeh was born in 1937 in Salt, Jordan. He is of Christian Greek Orthodox birth. He served in the Jordanian army and studied philosophy and psychology at Beirut University where he became active in the Arab National Movement, according to terror analyst Aaron Mannes. Hawatmeh (holding cigarette). 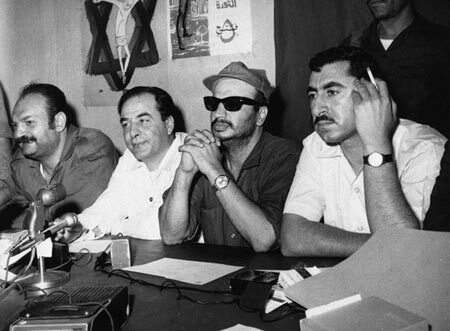 PLO chairman Yasser Arafat is seated in the center with sunglasses. 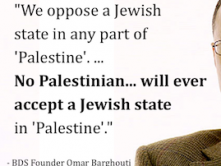 Then-PLO spokesman Kamal Nasser is on Arafat’s right. Image circa 1970. The DFLP is also sometimes referred to as the Popular Democratic Front for the Liberation of Palestine (PDFLP). In Arabic, the group is known as al-Jabha al-Dimuqratiyah Li-Tahrir Filastin. According to analyst Mannes, in 2004 the DFLP was “a member, but not an active participant, of the Palestine Liberation Organization (PLO),” the umbrella group dominated by the Fatah movement (Profiles in Terror: The Guide to Middle East Terror Organizations, Rowman and Littlefield, 2004). Fatah leader Yasser Arafat, concerned about the PFLP’s then-growing power, initially supported the DFLP to counter Habash. In keeping with Marxist-Leninist thought, the DFLP believed that the Palestinian cause was but part of a great “international war of liberation.” Accordingly, the DFLP also viewed the great capitalist power of the United States as its central enemy. However, since the DFLP was expelled from Lebanon by the Israeli Defense Forces (IDF) in 1982, the terror group has adopted a “somewhat more pragmatic” ideology that some have described as “similar to Fatah,” the movement that dominates the PLO and the Palestinian Authority (PA) (Jewish Virtual Library, Profile of Democratic Front for the Liberation of Palestine). The DFLP has an uncompromising stance towards Israel. As Mannes has highlighted, the group was “the first within the PLO” to advocate for what became the 1974 PLO “Strategy of Phases” which “allowed for the declaration of a Palestinian state on any territory reclaimed from Israel, without the complete destruction of Israel but as a first step” towards the Jewish state’s destruction. Hawatmeh first proposed the “phased solution” in 1971 while writing as a “Palestinian leftist” and the DFLP itself officially adopted it as a strategy in 1973. The DFLP believed that the PLO leadership failed to take “more severe action against [Egyptian President] Anwar Sadat after his peace initiative.” The group reportedly planted bombs on Israeli buses in protest of the peace agreement between the two nations. Indeed, the group’s infamous 1974 Ma’alot terror attack was “an effort to undermine efforts to bring about a negotiated settlement of the conflict,” historian Jeffrey Herf has noted. Hawatmeh himself justified the attack on grounds that the DFLP was “struggling to foil [then-U.S. Secretary of State Henry] Kissinger’s mission, because he carries a solution in favor of Zionism, imperialism and reaction (Undeclared War’s with Israel).” Further evidence of this rejectionist stance can be seen in the group’s decision to sign the Tripoli declaration in 1983, which rejected the Reagan and Fez peace plans and any contact with the Israelis. The group also opposed the agreement between Yasser Arafat and Jordan’s King Hussein, which called for a joint PLO-Jordanian position on peace negotiations with the Jewish state. Indeed, in protest, both the DFLP and the PFLP suspended their participation within the PLO. In contrast to the PFLP, however, the DFLP did not join the Palestinian National Salvation Front (PNSF), an alliance al-Sa’iqa, PFLP-GC and Fatah dissidents that opposed the Amman accord. During this period, both the DFLP and the PFLP “kept most of their senior leaders in Libya and the two Yemens for fear of Syrian pressure” to oppose the accord (Armed Struggle and the Search for a State: The Palestinian National Movement, 1949-1993, Yezid Sayigh, Oxford University Press, 1997). Arafat would later the cancel the 1985 Jordan-PLO accord and, in an act of reconciliation, would appear with both DFLP and PFLP leaders at the April 1987 Palestine National Council (PNC) (Yasser Arafat: A Political Biography, Barry Rubin, Oxford University Press, 2003). This is not say, however, that the DFLP was avowedly anti-Arafat. The DFLP played an important part in the First Intifada, playing a leading role in forming the Unified National Commands (UNC), alliances that included the FLPF, Fatah and other factions, in Gaza and the West Bank (Armed Struggle and the Search for a State: The Palestinian National Movement, 1949-1993, Yezid Sayigh, Oxford University Press, 1997). The DFLP initially supported the 18th PNC session in 1988, which laid the groundwork for negotiating with Israel, although the group opposed efforts to create a Palestinian government-in-exile. The DFLP’s representative on the PLO Executive Committee, Yasser Abd Rabbo fully supported negotiating with Israel. Hawatmeh, however, did not. Tensions had been rising between the two men in the years prior; in 1990 Rabbo and several members of the DFLP central committee had criticized Hawatmeh’s “tendency to centralize offices and headquarters” and resented his “autocratic leadership” during the First Intifada (Armed Struggle and the Search for a State). Accordingly, the DFLP initially opposed the 1990s Oslo peace process between the Fatah-controlled PLO and Israel and advocated for continuing “armed struggle”—a euphemism for terrorism—instead. 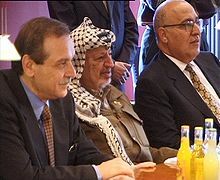 By contrast, FIDA allied with Arafat and Abd Rabbo even served as the PA’s Information Minister. The DFLP, along with the PFLP, boycotted the Sept. 8-9 1993 PLO Executive Committee in which Arafat put forth his Declaration of Principles and letters of recognition, which formalized the Oslo process (Yasser Arafat: A Political Biography). The DFLP worked with the other Damascus-based Palestinian terrorist groups in the Alliance of Palestinian Forces (APF), which carried out attacks against Israel during the 1990s. Post-Oslo, the terror group expanded in both the West Bank and Gaza. But the DFLP’s commitment to the APF would prove short-lived. And the group would prove unable to carry out terror attacks during the 1990s on par with Hamas and other Palestinian factions. A 1995 Center for Palestine Research and Studies poll found that out of all of the leftist Palestinian factions opposed to the Oslo Accords, the PFLP polled the highest, with the DFLP only attracting about 2 percent of the electorate (“Palestinians: Yes to Negotiations, Yes to Violence,” Middle East Quarterly, June 1995). In February 1997, the DFLP renounced its opposition to the Oslo process—leading to fallout with other APF members. Tensions were particularly acute between the Popular Front for the Liberation of Palestine-General Command (PFLP-GC) and Hawatmeh. In part for its support of Arafat, the DFLP was not only delisted as a U.S.-designated terror group (for more, see below), the group was also allowed to participate in the U.S.-backed Camp David peace talks between Palestinian and Israeli leaders in 2000. However, the DFLP “supported Arafat’s refusal to sign” a peace agreement that would have created a Palestinian state (Jane’s World Insurgency and Terrorism, Profile of the DFLP, Feb. 26, 2013). The DFLP joined Arafat and other Palestinian factions that attacked Israel during the Second Intifada (2000-05). In December 2002, the IDF arrested the head of the DFLP in Ramallah, Ibrahim Abu Hijeh. The PA condemned Israel for arresting Hijeh, who, as a member of the Palestinian National Council, was called “a member of the political echelon” by the Authority. However, Hijeh revealed the organization’s plans to assassinate a military judge, to kill a former senior officer in the Israel Defense Forces and to carry out a suicide attack using a suicide bomber with an Israeli identity card (“DFLP’s Representative to the PNC Confesses to Involvement in Attacks,” ICT Publications, Feb. 26, 2003). In January 2006 the DFLP participated in the Palestinian parliamentary elections, forming the Al Badeel coalition with the Palestinian People Party, the Palestinian Democratic Union, and several independent candidates (Jane’s World Insurgency and Terrorism). The group subsequently agreed to form part of a unity government. The upper echelons of the DFLP’s leadership are based in Syria with some operatives residing in Lebanon as well. In Syria, the DFLP enjoys “political immunity” and security protection, although the Syrian intelligence agencies closely monitor the group (“Terrorism as a Preferred Instrument of Syrian Policy,” ICT Publications, Oct. 12, 1998). The DFLP maintains a presence in the PA-administered West Bank (Judea and Samaria), as well as an operational wing in the Gaza Strip (Jewish Virtual Library, Profile of Democratic Front for the Liberation of Palestine). The organization’s headquarters are in Damascus and it has offices in refugee camps in both Lebanon and Syria. Both the DFLP and the PFLP sustained heavy losses in fighting against Jordan in 1970-71, resulting in heavy recruitment from “the refugee communities of Lebanon and Syria” as well as the promotion of these local Palestinians to senior rank (Armed Struggle and the Search for a State). In early 2013 the Palestinian newspaper Al-Liwaa reported that DFLP head Hawatmeh would be returning from Damascus to the West Bank. However, as the group was unwilling to comply with Israeli demands that they renounce violence, Hawatmeh was not permitted entry (Jane’s World Insurgency and Terrorism). Unsurprisingly, the Soviet Union and its Warsaw Pact allies were the DFLP’s chief patrons. The DFLP has maintained extensive contact with other Marxist movements throughout the world and continues to have close ties to the Maduro regime in Venezuela and the communist dictatorship in Cuba. Indeed, when Venezuelans took to the streets to protest Maduro in January 2019, the DFLP held a rally in Gaza City supporting the dictator—an occurrence that received favorable coverage by Iran’s state-controlled media. 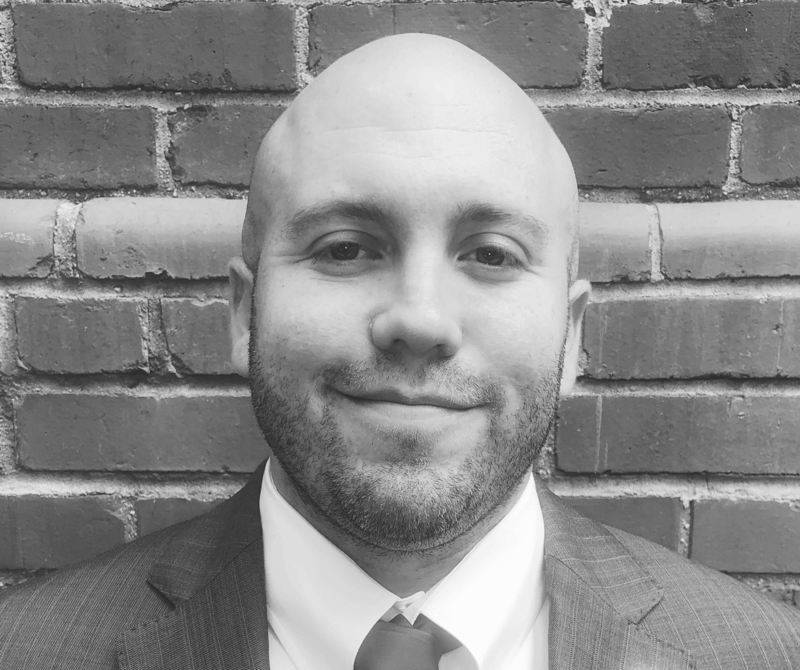 Daniel Byman of Georgetown University has noted that the DFLP also received support from Iraq and South Yemen in its early years (A High Price). However, as Yezid Sayigh has documented, the group’s relations with Iraq would later deteriorate. In the wake of the collapse of the Soviet Union, Syria and Libya became the chief patrons of the DFLP. The former remains the chief benefactor of the terror group today. However, funding is “always problematic” with support from Syria and Libya being “erratic” and often “frugal.” Accordingly, the group is largely self-financing (Jane’s World Insurgency and Terrorism). Like the PFLP-GC and al-Sa’iqa, but unlike Hamas, the DFLP has supported the regime of Syrian dictator Bashar al-Assad during the Syrian Civil War (2011-2019). The DFLP is unable to pay many of its members, which no doubt limits both its influence and membership. At the height of the Second Intifada, the DFLP was thought to have approximately 500 members. A 2013 estimate by Jane’s World gave a similar figure. In 1979-81—arguably the group’s height—it had 13 battalions (eight infantry, two gun artillery, one rocket artillery, one air defense, and one security) that organized into four brigade-level headquarters (Galilee, Eastern, Central and Western) (Armed Struggle and the Search for a State). 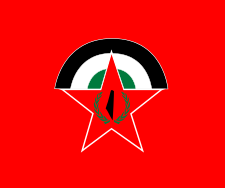 The group’s military wing was initially called the Red Star Brigades, but was renamed the Palestinian National Resistance Battalions during the Second Intifada. In its heyday, the DFLP maintained a separate branch for women called the Democratic Women’s Committees, as well as a collection of affiliated trade unions called the Democratic Front (Intifada: The Palestinian Uprising—Israel’s Third Front, Ze’ev Schiff and Ehud Ya’ari, Simon and Schuster, 1989). Unions were particularly central to the DFLP which, beginning in 1981, sought to “attain leadership” of the Palestinian labor movement (Armed Struggle and the Search for a State). The terror group has also worked with Hezbollah and “all of the other Palestinian factions” during the Second Intifada. 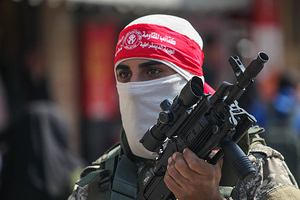 According to former IDF Col. Jonathan Fighel, at the end of 2001, the DFLP approached Hamas and offered to help carry out attacks as part of “an attempted come-back” by the organization, which hadn’t carried out a successful terror attack in several years and lacked the popularity of both Fatah’s Tanzim faction and Hamas. In October 2005, the National Resistance Brigades of the DFLP signed a unity agreement with other Palestinian factions, including Fatah’s al-Aqsa Martyrs Brigades. In 2010 and 2011, the National Resistance Brigades carried out terror attacks in conjunction with the Iranian-backed Palestinian Islamic Jihad (PIJ) (Jane’s World Insurgency and Terrorism). 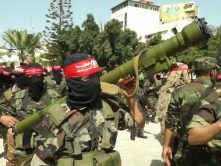 More recently, during the Hamas-orchestrated “Great Return March” of 2018-2019, DFLP operatives have worked in tandem with Hamas, PIJ, PFLP and Popular Resistance Committee (PRC) terrorists that are violently rioting on the Israel-Gaza border. An April 2018 report by the Meir Amit Intelligence and Information Center found that at least one DFLP operative and other DFLP affiliate were killed during the riots. One of them, Abd al-Qader Murdhi Suleiman al-Hawajiri, was described as a “senior figure” in the organization. The DFLP has had a rocky history with the PFLP. In the months prior to the DFLP’s creation, its future members engaged in gun battles with PFLP operatives in Jordan. Additionally, in the summer of 1974, members of the PFLP-GC fought DFLP members in the streets of Beirut, with kidnappings and rocket and artillery attacks occurring before a ceasefire was brokered in August. An estimated 40 men from each group died during the conflict (Jane’s World Insurgency and Terrorism). In the last few decades, however, the DFLP has had better relations with the PFLP, at both the operational and political levels. Throughout most of the 1980s the two groups had a “joint command,” which was only abandoned in the spring of 1986. The two groups also formed a “joint leadership body” in June 1992 to push back against Fatah’s dominance of the PLO (Armed Struggle and the Search for a State). The DFLP committed its first terror attack in 1974 and steadily increased both the number and the scope of its attacks throughout that decade. There is evidence, however, that the group was planning terror attacks shortly after its 1969 creation. The International Institute for Counter-Terrorism (ICT) at IDC-Herzliya noted that two DFLP terrorists were wounded, one fatally, when bombs that they were assembling went off on Aug. 23, 1969 in Izmir, Turkey (“Terrorist Incidents against Jewish Communities and Israeli Citizens Abroad, 1968-2003,” ICT Publications, Dec. 20, 2003). Although a British Broadcasting Corporation (BBC) profile of the DFLP claimed, “In the 1970s, the group began a relatively small scale campaign of bombings and assaults,” the evidence suggests otherwise. In fact, the DFLP carried out numerous attacks during this period, many of them both intricate and infamous. According to the University of Maryland’s START Global Terrorism Database, the DFLP participated in at least 54 terrorist attacks between 1974 and 2014. With one exception—an Aug. 3, 1974 assault in France that left no victims—every attack took place in Israel or in PA or Hamas-ruled areas. As of 2014, these attacks resulted in at least 50 murdered and twice as many wounded. Twenty-nine of these terrorist attacks occurred after the U.S. de-listed the DFLP as a terrorist organization. DFLP targets have varied from businesses and private citizens to educational institutions, government buildings and public transportation. In the past, the group has shown an ability to carry out large and complicated operations. In March 1986, for example, several DFLP operatives disguised themselves as IDF soldiers in an attempt to infiltrate Israel from Lebanon. This attempt echoed the infamous May 15, 1974 Ma’alot terror attack in which DFLP operatives dressed as IDF forces infiltrated an Israeli school, resulting in the death of 21 children and the wounding of 74 people. In a follow-up failed January 1979 attack, the DFLP attempted to seize 230 civilians in Ma’alot. In one Nov. 25, 1987 terror attack, later labeled “the Night of the Gliders,” DFLP terrorists infiltrated Israel from Lebanon using hang gliders and murdered six Israeli soldiers. In 1988, the DFLP perpetrated a failed petrol bomb attack against then-Israeli Industry and Trade Minister Ariel Sharon. Since 2001, however, the group has carried out scaled-down attacks, and tended to use small-arms fire on Israeli military targets in the Gaza Strip, as well as rocket attacks—both often in tandem with other terror groups. July 16, 2002: Roadside bombing and shooting of a bus approaching a Jewish settlement in the West Bank: 9 killed, 20 injured. August 25, 2001: Attack on an Israeli military base in the Gaza Strip: 3 soldiers killed, 7 others injured. November 13, 1975: Bombing of a wagon rigged with explosives in Jerusalem: 7 killed. November 19, 1974: Attack on a private home in the town of Beit Shean: 4 killed. May 15, 1974: Three members of the DFLP disguised as Israeli soldiers laid siege to an elementary school in the northern border town of Ma’alot: 27 killed, including 22 students, 134 injured. Leader in the Gaza Strip: Saleh Zidan. Zidan is a DFLP politburo member who has extensive connections in both Lebanon and Syria. Member of the PLO executive committee: Taysir Khalid. The DFLP’s candidate for the Palestinian presidential election in 2005. Khalid advised Arafat during the Camp David talks, counseling against signing an agreement. PLO head Mahmoud Abbas dismissed Khalid from the head of the PLO’s committee for Palestinian refugees in August 2018. Qais Abd al-Karim (aka Abu Laila). An Iraqi-born co-founder of the DFLP, who serves as a member of the Palestinian Legislative Council and a member of the DFLP’s Politburo. He previously was the long-time deputy secretary general of the DFLP. Mazen Yusef Salameh. The DFLP’s top bombmaker in the West Bank. Salameh was later courted by both Hamas and PIJ, and eventually joined the latter and left the DFLP. Salameh was shot dead by Israeli Border Police in October 2003 (“Bombmaker shot dead in Tul Karm, Ha’aretz, Oct.2, 2003). Although Hawatmeh continues to hold the title of secretary general, “by all accounts, he is no longer actively involved in detailed planning of operations,” according to a 2013 report by Jane’s World Insurgency and Terrorism. Instead other prominent DFLP figures such as Qais Samarral (aka Abu Leila) and Abd-al-Karim Hammad (aka Aba Adnan) assist in operational planning. Hawatmeh was reportedly wounded in a suicide vehicle-borne improvised explosive device (SVBIED) attack in Damascus on Feb. 21, 2014 (“Leader of Palestinian Group Injured in Syria Bomb, Washington Examiner, Feb. 21, 2013). Another infamous DFLP figure, Mounir al-Maqdah (aka Abu Hassan) was trained by the group in Syria, but later left to join Fatah’s Force 17 unit. Abu Hassan played a key role in developing and leading Fatah’s Al Aqsa Martyrs Brigades during the Second Intifada (“Dossier: Mounir al-Maqdah,” Middle East Forum Intelligence Bulletin, July 2003). The DFLP ran training camps in Syria and Lebanon’s Bekaa Valley in the early 1980s. In keeping with its ideological orientation, the DFLP was used in the 1980s by the USSR to train Nicaraguan Sandanistas, as well as the Kurdistan Workers Party (PKK), as analyst Kyle Orton has noted (“‘Zionism is Making US Stupid’: The Russian Relationship with Israel from the Soviets to Putin,” Dec. 12, 2018). 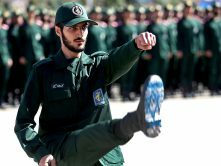 The DFLP also “assisted the KGB by training, arming or contacting leftist groups” in pre-revolutionary Iran in the 1970s, according to Yezid Sayigh. The DFLP supports the boycott, divestment and sanctions (BDS) movement that seeks to delegitimize and destroy the Jewish state. The DFLP participates in the BDS National Committee, along with Hamas and PIJ, as members of the Council on National and Islamic Forces in Palestine (“Pro-Israel Attorneys Get PayPal to Cutoff British Charity,” Investigative Project on Terrorism, Oct. 23, 2018). 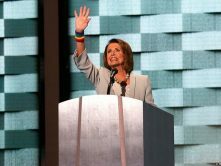 The BDS National Committee works closely with the U.S. Campaign for Palestinian Rights, which is officially called the Education for Just Peace in the Middle East, a Virginia-based nonprofit that Tablet Magazine described as “arguably the most prominent promoter of BDS in the United States (“BDS Umbrella Group Linked to Palestinian Terrorist Organizations,” June 1, 2018). As of this writing, the DFLP maintains an active, English-language website which includes links to its Twitter and Facebook social media accounts. The DFLP stands as one of the smallest Palestinian terrorist groups. The organization is years removed from its 1970s heyday and has been weakened by the loss of its communist sponsors, internal infighting, and its tendency to take positions that often place them between Fatah and Hamas. Nonetheless, the group’s ideological fervor and history of gruesome terrorist attacks still provide an appeal to some Palestinians. Further, its leftist orientation and connections to the PKK and the “global left” shouldn’t be ignored: the DFLP’s ideology and history have, at times, enabled the group to punch above its weight. For an organization that is now a half-century old and which, by all accounts, should be moribund, the DFLP has shown surprising staying power. Official PA TV has run several broadcasts celebrating the DFLP and its terror attacks (see here, here and here, for examples). As Palestinian Media Watch (PMW), an organization that monitors Arab media in the West Bank, Gaza Strip and eastern Jerusalem, has documented, in June 2017 the PA named a public square after Khaled Nazzal, the Secretary of the Central Committee of the DFLP. Nazzal was responsible for the 1974 Ma’alot massacre, as well as a shooting attack in central Jerusalem in April 1984, among other crimes (“PA names square after mastermind of massacre of 22 children and 4 adults,” June 19, 2017). After a Jan. 8, 2017 terror attack in which 4 Israelis were murdered, DFLP political bureau member Talal Abu Tharifa called for turning “this intifada of young people into a comprehensive popular intifada that will include all sectors of the society.” When it comes to promoting terror and murder, the DFLP is nothing but egalitarian.